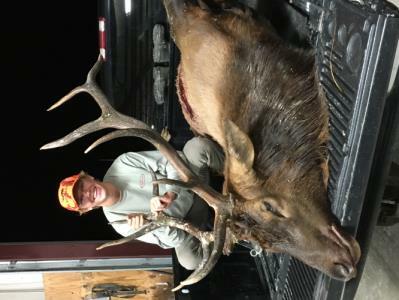 Participants harvested a total of 12 elk during the 2018 Tennessee elk hunts in the three segments. Participants could hunt on North Cumberland Wildlife Management Area and surrounding private lands. This year was the most harvests since the managed hunts began in 2009. The elk archery-hunt was the first segment held Sept. 29-Oct. 5 with all seven participants recording harvests. Three of the harvests were recorded on the opening day and all were 6x6. 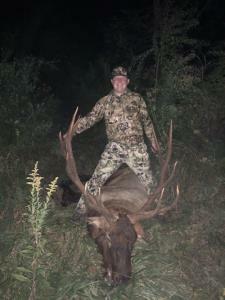 Darrell Clark (Corryton) checked a bull that field dressed at 473 pounds taken in Elk Hunt Zone 2. Adam A. Miller (Jamestown) harvest dressed at 554 pounds in Zone 5and Marcus B. Tilson (Oakdale) had a bull field dressed at 556 pounds from Zone 7S. On Oct. 1, Charlie A. 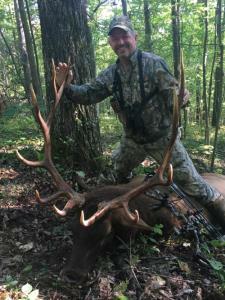 Hall (Chattanooga) took a 7x6 elk that had a full weight of 734 pounds in Zone 1. Also Hunter Munck (Cleveland) harvested a 9x7 bull. The weight is not available. Other archery harvests were on Oct. 4 by Mason King (Harriman), a 4x7 that field dressed at 392 pounds in Zone 3 and the final archery harvest was on Oct. 5 by Luke Dunham (Cookeville) in Zone 4 of a 6x5 bull field dressed at 552 pounds. Porter Neubauer (Belvidere) was this year’s recipient of the tag permit winner to participate in the Young Sportsman Elk Hunt. 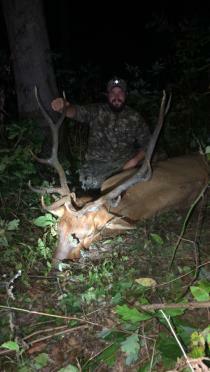 Porter took his harvest on Oct. 11, taking a 6x6 elk in Zone 4. The elk field dressed at 558 pounds. The Oct. 13-19 hunt was open for seven participants with the option to use gun, muzzleloader, or archery equipment. One of the permits is presented an annually to a non-governmental organization, the Tennessee Wildlife Resources Foundation. In previous years, the permit was auctioned to the high bidder. This year, a raffle was held with tickets sold for $10 each. Scott Thomas (Cleveland) was drawn from 22,484 tickets an on the first day harvested a 8x6 bull, field dressed at 555 pounds in Zone 1. Also having harvests on the first day were Henry Cothron (Bethpage) taking a 3x4 weighing 256 pounds in Zone 4. Denise Porter (Maryville) took a 4x4 in 7N. The weight is unavailable. 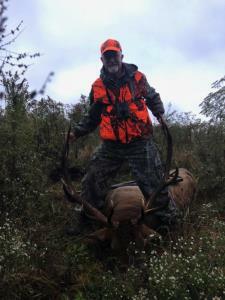 The final harvest came on Oct. 10 by David Pruitt (Jackson) taking a 6x4 bull with the weight unavailable. The harvest came in Zone 7S.